I finally got a slow cooker for Christmas! I wanted to get one for sooo long, but I already got so many kitchen appliances and I just don’t have enough space for them. So I was a bit skeptical about the slow cooker. Like would I really use it or would it get boring after a while? I finally decided to give it a try and I don’t regret that I did! It’s super easy to use and I already tried so many recipes that I really loved. I mostly use it for vegan chilies, stews, and breakfast dishes. 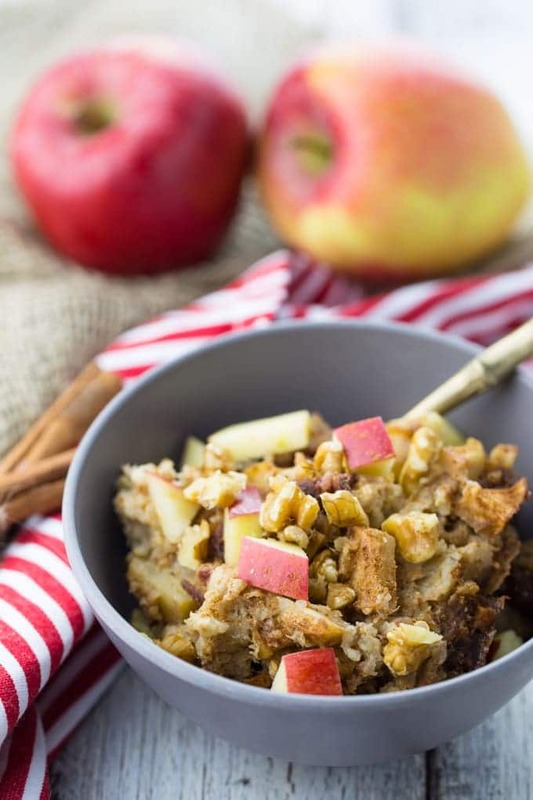 My new favorite is this vegan crock pot oatmeal with apple, raisins, cinnamon, and walnuts. It tastes so much like apple pie! To make it even healthier I added some quinoa. Plus, this crock pot oatmeal is 100 % sugar-free. I only sweetened it with dates and raisins. But it’s still really sweet and it kinda tastes like dessert for breakfast. I think there’s nothing better than waking up to such a delicious crock pot oatmeal. I mean how awesome is it than the crock pot does all the work for you while you’re in bed sleeping?! And I really love the texture the slow cooker oatmeal has after cooking for about 6-8 hours. It’s so much softer than stovetop oatmeal. And the taste of this quinoa oatmeal is also so much more intense! The same applies to vegan slow cooker chilies and stews. The flavors are all so much more pronounced. 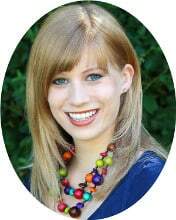 I really can’t wait to try more vegan slow cooker recipes! So keep your eyes open for a vegan slow cooker chili that’s gonna come on the blog soon. Oh, and I’m also really looking forward to trying steel-cut oats in the slow cooker. I’ve heard so much about it! I hope you enjoy this crock pot oatmeal as much as I do! Have a great weekend, everyone! 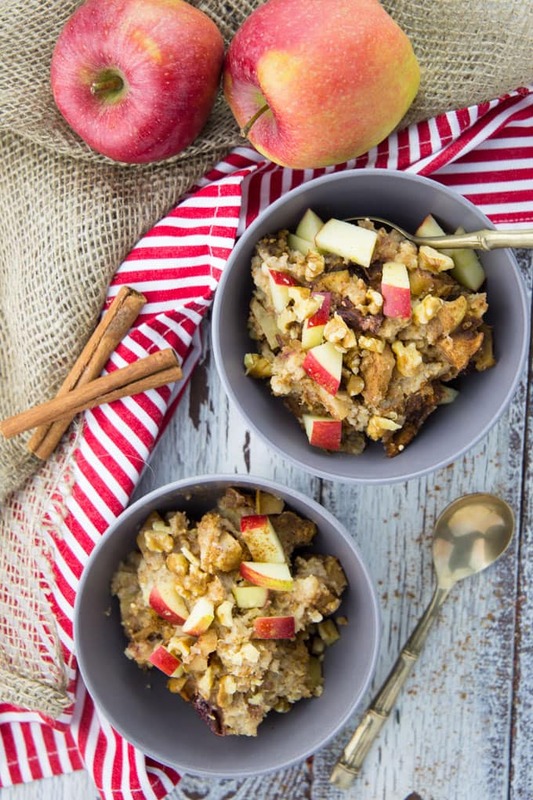 Have you tried slow cooker oatmeal yet? 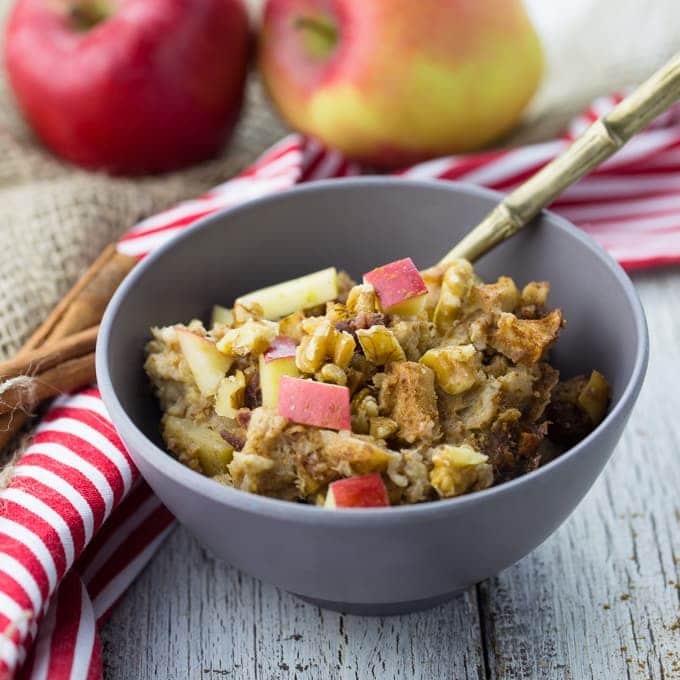 This crock pot oatmeal with quinoa, apples, and cinnamon is my new favorite! So delicious and creamy! 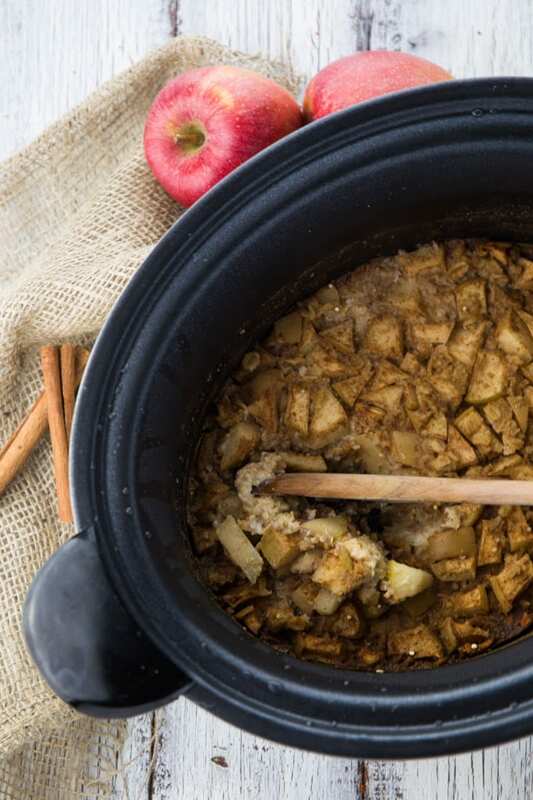 Put all ingredients except for the walnuts in a slow cooker. Cook on low for 9 hours. 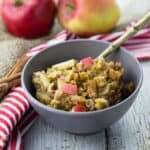 Serve warm with some fresh apple chunks and chopped walnuts. Oh I love how hearty this looks. I bet the quinoa makes it super filling! I haven’t made oatmeal in the slow cooker yet, but the idea of waking up to cinnamon-y hot cereal is so cozy. Nice addition of quinoa in there too! yum! I love comforting food like this! The more cinnamon the better ;) Looks great, Sina! I love waking up to a hot breakfast already waiting of for me! This looks great! This looks so cozy, perfect for a chilly morning. I was looking for vegan recipes for my crock pot and came across this recipe on Google. Gave it a try yesterday and it came out really good. Thanks so much! Definitely a keeper!